I have mentioned the Montessori Shop here before. 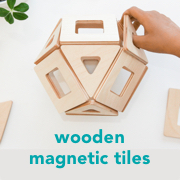 Vicki based in New Zealand spreads her Montessori goodness around the world. I have mentioned her lovely range of sandpaper letters and other language materials. Of course I am naturally drawn towards the infant/toddler materials. Vicki is offering a wonderful giveaway but first she tells us a little about herself, her family and her Montessori Shop. My name is Vicki Rowe and I am the owner of the Montessori Shop. My husband, Braden and I have 3 beautiful and awesome Montessori children, Julia (11), Jack (10) and Logan (9). We found Montessori like a lot of parents do, by complete accident. We were about to have our 3rd child and were desperately searching for a preschool for our nearly 3 year old to join. After looking at all the options we finally walked into a Montessori preschool and it was love at first sight. I didn’t know what it was or how it worked but I really didn’t care, I could see it in the children’s eyes. They were happy, they were totally engaged in what they were doing and they were quiet (that was a big plus having just spent 2 years at Playcentre. I was sure my daughter could do with a little quiet). Anyway, what started as a love affair has turned into a full blown marriage. I read loads of great articles and become very friendly with our children’s teachers absorbing everything I could about Montessori. So one of our children has Dyspraxia and I thought it would be a good idea to have some equipment at home to help him out a little. Truth be told, I thought the Trinomial Cube was just the most awesome looking piece of equipment and I wanted one. Never mind I didn’t have a clue what it was for. It was when our teacher said not to bother looking for the equipment; it was way too expensive to consider having it in a home. That is when I become even more determined to find a reasonably priced Trinomial Cube and anything else I could find. I had been running my own business for two years prior importing and selling iPod and sporting equipment so I used my skills in shopping (my husband calls me The Dealer) and did a lot of hunting. I was determined to find great quality products at a price that everyone could afford. Fast forward some months and many samples later from several suppliers and finally I found them. A supplier who could offer me good quality and good pricing. I still purchase off that supplier 5 years later. Since then I have added premium products to my range. Even better quality and still at far less that you would traditionally expect to pay. I have customers all over New Zealand and Australia. Mostly I sell to schools (yes, the quality is that good) but I am really heartened by the number of parents that I am also selling too now. While this was a bit of a side-line business to start with, I finally left my full-time job in May, 2011 to focus on my business 100%. OK, so maybe it was because I hated my awful government job but either way, I am now doing what I love. I work out of my home having purchased a house two years ago with a massive separate office and storage space. My husband had pictures of a man cave, poor guy, maybe the next house? I have the huge benefit of being about to work around my children’s school hours, mostly. Although, now that things are really picking up you might find me burning the midnight oil long after they have all gone to bed. I am madly passionate about Montessori, I read every blog I can and of course How We Montessori is my absolute favourite. No seriously, it really is my favourite. I also served for a while as a Council Member on the Montessori Council of New Zealand. Wow, what and eye opener that was. These Montessori teachers are so dedicated, and even more passionate that I could ever hope to be. I love that I am helping to grow Montessori in New Zealand and Australia. I have also supplied schools and parents in Fiji, Tonga, China and Uganda (yes, Uganda Africa). Just in the last couple of months I have had orders for 6 new classrooms worth of equipment around New Zealand. That’s roughly 150 more children who get to experience the joy of learning the Montessori way. I love that I get to do something that rocks my world every day, I love that I get to connect with another person who might order 1 small item and then I get to connect with another person who might order 100 items. And best of all I love, love, love that I get to meet so many other wonderful parents and teachers from around the world who are just as Montessori mad as I am. Thank you Vicki for this giveaway and thankyou for sharing your delightful story. I'm sure it's not just me that loves to hear the excitement and joy Montessori has brought to the lives of others. I love how Vicki said she could "see it in the children's eyes". The givaway is for one $100 (NZD) gift voucher from the Montessori Shop (including shipping). Yes, that's right a $100 gift voucher. 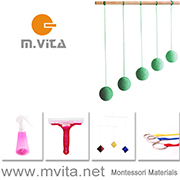 To enter simply leave a comment telling me your favourite item/s from the Montessori Shop. Comments close Thursday 23rd February 2012 at 10pm AEDT. The giveaway is open internationally but please only one entry per person. P.S. To enter please ensure you leave your comment in the comment section of this blog article/post. Thank-you! Comments are now closed. Thank you to everyone who entered. Michelle is the lucky recipient of the $100 voucher!! Have fun shopping Michelle.